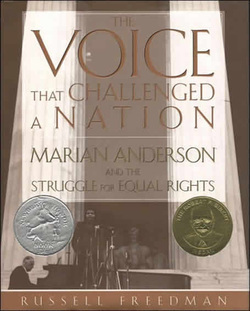 This is an extremely interesting biography about Marian Anderson, a black vocalist who became famous all over the world by the 1930's, singing for royalty and heads of state, because of her beautiful contralto voice. However, because she lived during the years of Jim Crow that segregated the colored people from the white people, she often experienced the humiliation caused by this law here in the United States. With her growing popularity, finding a venue large enough to accomodate the crowd was becoming a problem in Washington D.C. where the largest auditorium, Constitution Hall, allowed "white artists only" to perform. As this problem turned into a debate and then a national issue when 1st lady Eleanor Roosevelt resigned from the Daughters of the Revolution (DAR) because of their decision there, Marian Anderson reluctantly became the center of a civil rights debate. Her manager eventually asked for permission for her to perform on the steps of the Lincoln Memorial, and on Easter 1939, 75,000 people showed up to hear Marian sing. Now recognized as the first peaceful civil rights demonstration, Marion set the stage for the fight for equal rights. This book won the Siebert Award for best informational book in 2005 and a 2005 Newbery Honor Award, and includes photos and memorabilia. After reading it, readers will want to find a CD to hear her sing too. Suitable for grades 5 and up. 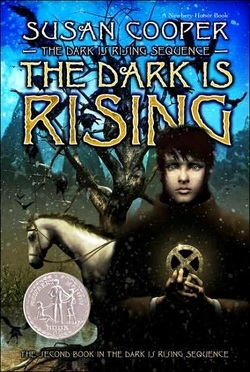 This is book two of the Dark is Rising sequence, a 5-volume fantasy series that will appeal to Harry Potter fans. On Will Stanton's eleventh birthday, he learns that he is special, the last of the "Old Ones" to be born, immortals who over thousands of years have been fighting the evil forces that would leave the world in Darkness. His quest as the Sign-seeker is to collect the six Signs of the Light: iron, bronze, wood, stone, fire and water symbols made over the years and join them together to make the Circle of Signs. If he is successful, the Old Ones will have more strength, hope and assurance to fight the Dark when it comes rising for its final attempt on the world. The story takes place in England over the twelve days of Christmas, beginning on Midwinter's Eve and ending on the Twelfth Night, when the Dark has the most power, making it a perfect book to read over Christmas break. Full of adventure, mystery and suspense, this won the Newbery Honor award in 1974 and this year a movie was made very loosely based on the book. The other books in this series are quests to find the other Things of Power: the golden chalice, the sword of crystal, and a harp of gold. Suitable for grades 5 and up. I liked this book much better than many reviewers. The setting is the Midwest, sometime after World War II. Life seems quiet and simple, except that a man has gone missing for more than four years, leaving his wife and grandson, Arthur, behind. From reading his grandfather's journals, Arthur learns of two African tribes, the Bogo-Matassalai whose shortest member is more than seven feet tall and the Minimoys, with the peculiarity of measuring only three-quarters of an inch tall. Threatened by eviction for not paying their taxes, Arthur and his grandmother scramble to find the bag of rubies that Grandfather has hidden in the garden. Instead of treasure, Arthur finds a map to the gateway to the land of the Minimoys. Arthur, a normal yet precocious ten-year-old, must use creativity, bravery, and heart if he is to save an entire race of people from extinction. 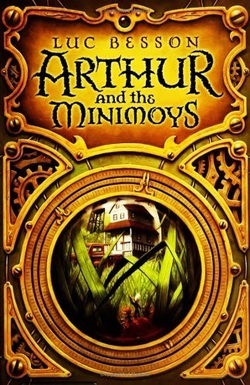 Committed to his quest and to finding out what has happened to his grandfather, Arthur agrees to be shrunken in order to join the Minimoys in their fight. A fast-moving plot with surprising twists and turns makes this adventure a delight. Suitable for grades 3-6. The "Pizza and Pages" group is currently listening to chapters from this book each week, and finding it to be both funny and exciting. They especially like that mosquitos are used to ride on and catapults shoot raisins in battle. When a piglet is won at the Fair by Farmer Hoggett, he is instantly adored and fostered by Fly, the sheepdog raising four pups of her own. She adapts the name given him by his own mother and "Babe" joins the dog pups in their training to guard the sheep. 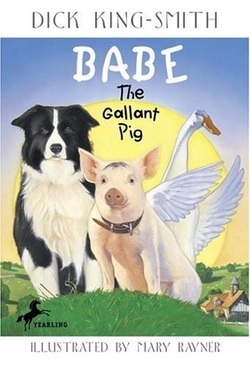 The sheep appreciate his tender nature and polite manners and, when he saves the flock from hustlers, Babe soon earns the respect of Fly, Farmer Hoggett and his wife, who had planned on having the pig for Christmas dinner. Babe continues his training with Farmer Hoggett as a sheep-pig and soon the two are preparing to enter the Grand Challenge Sheepdog Trials. Will Babe be able to work with strange sheep as well as he does with his farm friends? This touching animal fantasy will charm readers in the same fashion as Charlotte's Web. The suspense will keep young readers engaged until the final page. Suitable for children in grades 2-4, although it may also be read aloud to younger children. 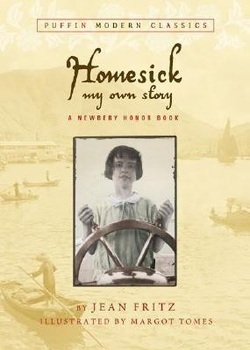 This book follows the author’s experiences as the ten-year-old Jean Guttery, from her childhood in Hankow, China, to her arrival two years later in the place that her parents always referred to as “Washington, P.A.” Although Jean is born in China, she is considered a foreigner and longs for the home in the United States she has only seen through her parent's eyes and through the letters she receives from her grandmother and aunt. Each of the book’s seven chapters explores an aspect of Fritz’s growing sense of personal identity as she reviews her role within the family and her allegiances as an American abroad. As a first-person narrative, the story remains faithful to Fritz’s point of view as a young girl between 1925 and 1927 in a China that is starting to become openly hostile toward all foreigners. She doesn't pretend to understand all the politics going on around her, instead focusing on bullying at the British school she attends, presents she receives for Christmas, and vacationing spots her family visits. Chinese details are woven throughout the story giving a sense of the location and culture. Most suitable for children in grades 5 - 8, and for those interested in biographies and history. 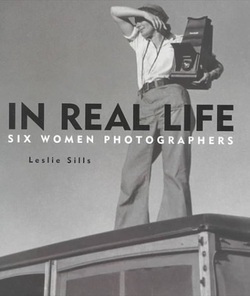 Six short biographies are included in this compilation of women photographers including Imogen Cunningham, Dorothea Lange, Lola Alvarez Bravo, Carrie Mae Weems, Elsa Dorfman, and Cindy Sherman. Each biography is limited to information about how each woman was led to the profession of photography and her eventual career as a photographer. Photos from each woman are also included. It is interesting to note how each woman used photography differently, either to bring an issue to the public's attention or to show human emotion, or to make a viewer think and come up with their own conclusion about a photo. A brief explanation of how a camera works appears at the end of the book along with additional resources for each photographer. Suitable for children in grades 4-8 and those interested in photography or career options. 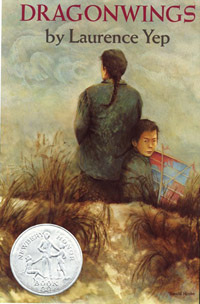 Taking place over the course of one year in the late 1800's, the story of a 7-year-old Ojibwa girl named Omakayas, which means "Little Frog", unfolds on an island in Lake Superior known to them as Moningwanaykaning, or Island of the Golden Breasted Woodpecker. She is the younger sister to beautiful Angeline and older sister to trouble-maker brother Pinch. Baby brother Neewo is her favorite and Omakayas is devastated when he dies from smallpox after it is introduced to the island by a chimookoman, a white man. But from this she finds her true story and purpose in life. 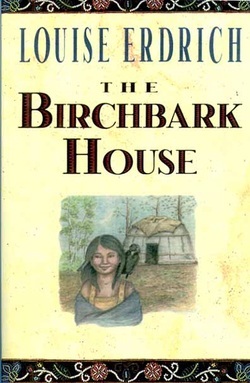 This story is very similar to "Little House in the Big Woods" in that daily life is narrated by a young girl over one year in the 19th century, although this one is from the perspective of the Native American. Many activities overlap between them as well such as tapping into maple trees to collect sap for syrup, encounters with bears, gathering food for winter, and mischievious little boys who don't want to work. The text is full of many Ojibwa words and a glossary and pronounciation guide is provided at the back of the book, as well as black and white illustrations interspersed throughout. Most suitable for readers in grades 4-6, but could also be read aloud to younger children by parents. This book was also chosen as a National Book Award finalist. Ryan was only 6 years old when he learned from his school teacher that a lack of clean drinking water was one of the most serious problems facing other people of the world. Being told that the cost to build a well in Africa was $70, Ryan was determined to raise the money that would supply a village with safe, clean water. 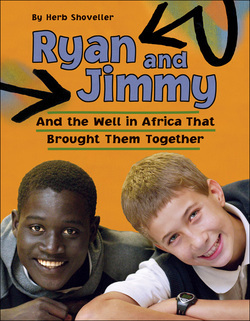 From this germ of an idea, many events followed that lead to the eventual meeting between Ryan and his penpal Jimmy from Uganda, where his well was ultimately built. This true story turns to fear, terror, and suspense as Jimmy's village is attacked and Jimmy is taken prisoner, as are many boys his age, by rebel soldiers. Jimmy manages to escape and Ryan's family leave no stone unturned as they attempt to get Jimmy a Visa to travel to Canada where he would be safe. Suitable for children in grades1 and up, this book is full of compassion, hope, and solutions. Parents might consider reading this along with their children to encourage discussion. After having just been to see the David Macaulay exhibit in Louisville this past month, I wanted to write about one of the many books this architect turned author has written describing the various processes of constructing things. 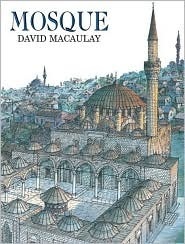 This particular book describes the building of a Mosque in Istanbul at the end of the 16th century. Perhaps the most fascinating part for me was to learn why these mosques were built in the first place. The Muslims have five principles they must adhere to as part of their Islamic beliefs including faith, prayer, charity, fasting, and pilgrimage. A law was established that prevented the entire inheritance of a person to go to his children, thus promoting charity. In response, the richest people tended to establish charitable foundations where they could spend and leave their money, and these included the building of mosques, colleges for religious education, soup kitchens, buildings for public bathing, and public fountains, among other civic and social establishments. These impressive and enormous structures were funded by individuals! This is an interesting look into construction techniques for children interested in architecture and building. As with his other books like Cathedral, Pyramid, and Castle, this book is not text-heavy and the illustrations are a key part to understanding the construction techniques used, so that even though the text is full of difficult vocabulary and middle eastern words, readers can still pore over the illustrations and get a sense of the construction process. In addition, a glossary is provided at the back of the book for unfamiliar words, making this suitable for children and grades 3 and up. 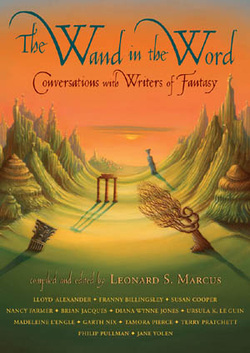 Thirteen well-known fantasy authors of both teen and children's books are interviewed for this compilation. Asked about their childhoods, their school experiences, the storytellers in thier own lives and the influence of other fantasy writers, primarily J.R.R. Tolkien and The Lord of the Rings, on their work, readers can begin to appreciate the authors of some of their favorites fantasies. Authors include Lloyd Alexander, Franny Billingsley, Susan Cooper, Nancy Farmer, Brian Jacques, Diana Wynne Jones, Ursela K. LeGuin, Madeleine L'Engle, Garth Nix, Tamora Pierce, Terry Pratchett, Phillip Pullman, and Jane Yolen. A bibliography is included for the writings by each author. One of the most interesting aspects for me was seeing a page of each author's manuscript after being edited for corrections! This would appeal to readers interested in reading about authors or are would-be authors themselves! Suitable for grades 4 and up. Tough, foul-mouthed, 11-year-old Gilly Hopkins is a foster child being moved from home to home as she waits for her mother Courtney to bring her to her "real" home in California. She has developed a reputation for both her brilliance and her obstinance. Her latest residence is in Virginia in the home of a very gross family in her opinion, consisting of an extremely large woman known as Trotter and another foster child, William Earnest, who obviously has problems because he barely speaks. Their neighbor and closest friend is an elderly black man who can't even see! Gilly schemes to leave this place as soon as possible but finds that her plan backfires. The reader will come to care for Gilly just as Trotter and W.E. have come to love her. But there is no such thing as a happy ending, as Gilly learns, and she must leave once again. There is mild bad language making this book more suitable for children grades 4-8. This book won a Newbery Honor Award in 1979 and is written by the same author as A Bridge to Terabithia. 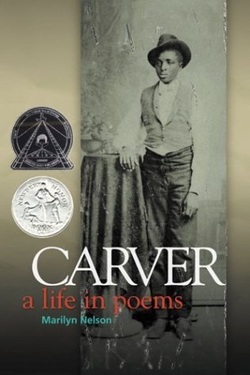 In just under 60 poems, George Washington Carver comes to life from his first days in slavery until his death in 1943. Describing his character, his hobbies, his talents, and ultimately his many achievements in the area of agriculture and education, the poetry is written in a simple free-style that readers can grasp. Appropriate for students in grades 4 and up, it will provide enough interest for them to want to read more information about the man and his amazing accomplishments in a time when blacks were not accepted in society. This book won a Newbery Honor award and a Coretta Scott King Honor award in 2002 and is written by the same author who wrote A Wreath for Emmett Till. 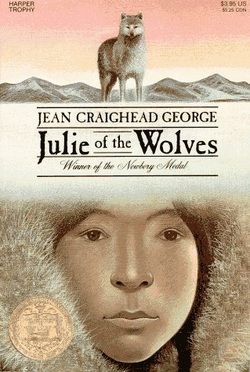 This 1973 Newbery award winner is a survival/adventure story featuring 13-year-old Julie Edwards Miyax Kapugen, an Eskimo girl who comes to live among a pack of wolves after her mother's death and father's disappearance while seal hunting. She lives briefly with her aunt and again with the family of a boy she marries according to the old ways. But after being promised that they will live "like brother and sister", he tries to go too far and Miyax leaves, heading for the home of her pen pal in San Francisco. However, she becomes lost on the tundra and faces certain death until she remembers a story her father told her about his survival among the wolves. Once she figures out how to communicate with them, she is accepted as part of a pack of wolves herself and they protect her as well as provide her with food. Most of the story tells of Miyax's life among the wolves and how she uses the old Eskimo ways to survive, although there is a surprise at the end making Miyak wonder if she will ever return to civilization. Full of action and some heartbreak, this book will appeal to those in grades 4-8 who enjoy adventure, survival, and animal stories, as well as those interested in other cultures. Set in San Francisco between the years 1903 and 1910, this story gives a realistic picture of a young Chinese boy's life as he moves from China to join his father in California. Leaving behind his mother and grandmother, Moonshadow is frightened to come to the "Land of the Golden Mountain", but he wants to see the father that has been gone since before he was born. The land of the "demons", as the white people are called, is unfriendly toward Chinese people. The story weaves around historical references such as the Earthquake of 1906, Theodore Roosevelt, and early flight, even including a letter correspondence with the Wright Brothers. Moon Shadow works with his father, meets nice neighbors in an elderly woman and her niece, and eventually helps his father build and fly a biplane named Dragonwings. Full of many Chinese cultural references, this novel relates what life was probably like for Chinese during that period of time. Well written and full of love, respect, family traditions, and prejudice, Dragonwings won the Newbery Honor Award in 1976. Recommended for middle grade readers who enjoy historical fiction, books about flying, or multicultural issues. I loved listening to this one on audio. 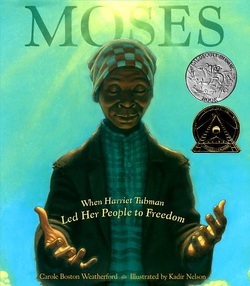 Sparse lyrical text is used in this biography about Harriet Tubman's work bringing slaves out of the South into freedom during the 1850's. The picture book tells of her spiritual journey as she hears God's voice tell her that she is meant to be free. God continues to guide her as she escapes her master and never leaves her side as she returns south 19 times to rescue 300 more slaves. Throughtout, Harriet and God have a back-and-forth conversation that gives her strength to do what she must do. The text is accompanied by beautiful artwork by Kadir Nelson who just won a 2007 Caldecott Honor Book award as well as a 2007 Coretta Scott King Illustrator Book Award for his illustrations in this book. This is a stunning book suitable for children ages 5 and up. Even adults will appreciate this masterful telling of one woman's bravery. This is the second book in the Clemency Pogue series. When Clemency calls Chaphesmeeso back, he brings along with him a 7-year-old boy named Kennethurchin. They are on a quest to find the proxy, the clay-baby exchanged at birth by Goblins. A tiny glass jar filled with purple black liquid called Leviathan Ink had been placed inside the changeling before he was exchanged and is needed by Kennethurchin, now a half-hob, in order for him to sign his name in the Forgetting Book and ultimately become a full Hobgoblin. This continues to be very clever and entertaining suitable for children in grades 4-6. I hope there will be more in this series coming. This is the first book in a new series that I absolutely fell in love with! 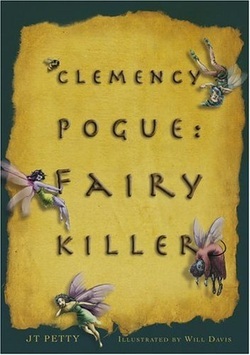 10-year-old Clemency Pogue accidentally kills 7 fairies as she fights off the Fairy of Frequent and Painful Pointless Antagonism (Fairies are only known by their position since names are highly guarded)as she proclaims her disbelief of fairies in the manner of Peter Pan. The Hobgoblin who appears calling her a murderer reveals that she must learn their names in order to bring them back to life. She inadvertently learns his name, Chaphesmeeso, binding him to her, and together they find each murdered fairy around the world in an attempt to reanimate them all. Very clever wordplay is used throughout, along with some difficult vocabulary making this more appropriate for older readers grades 4 - 6. Adults may enjoy reading this aloud to children though. Black and white illustrations also accompany the text. 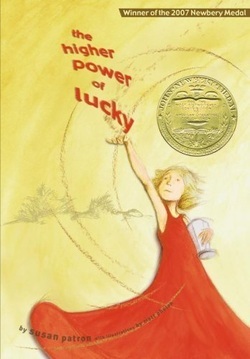 The 2007 Newbery Winner stars 10-year-old Lucky Trimble who lives with her French guardian Brigitte in the desert of Hard Pan, California. She works at the Found Object Wind Chime Museum and Visitor Center cleaning the porch following various 12-step programs, where she listens in hoping to find some clue where to find her own Higher Power. She worries that Brigitte will return to France causing her to go to an orphanage, but otherwise is a level-headed girl who collects insect specimens and understands the environment in which she lives that includes snakes, scorpions and cholla burrs. Full of quirky characters like pesty 5-year-old Miles who goes from home to home in search of cookies while carrying his favorite book "Are You My Mother? ", her friend Lincoln who is obsessed with knot-tying, and Short Sammy, a recovering alcoholic who prepares interesting meals trying to incorporate the U.S. Government Surplus foods. Full of atmosphere and a background story that helps to explain why the characters are the way they are, this book provides a surprise at the ending that please young readers. Most appropriate for children in grades 3-5 or for readers who enjoyed "Because of Winn Dixie". 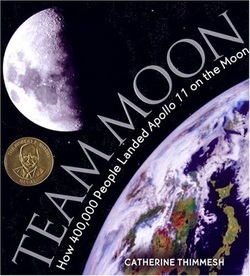 The Apollo 11 mission of landing a man on the Moon and returning him safely to Earth is the subject of this fascinating book that has just won the 2007 Sibert Award for the most distinguished informational book for children. The photographs from the mission fill the pages, and quotes are included from the numerous people that worked during the 8 years it took to make this happen. Many problems and details needed to be worked out from designing an outfit that would keep a man alive while walking on the moon, to designing a vehicle that would be able to get the crew to the moon, land, and return safely to Earth, to figuring out how to capture images of the crew while walking on the Moon and transmit them back to to Earth. The vocabulary in this book is quite high making it better for middle grade readers, but it may easily be read aloud to younger children by parents. Adults will love this too! It is full of suspense as various problems pop-up endangering the mission, but the reader can't help but feel admiration for the many people who pulled together to make this a priority and to ensure a successful mission in every way. Rotten School: :Lose Team Lose! This is the fourth book in Stine’s newest series “Rotten School”. Very humorous and full of that toilet humor young boys are so fond of, this book will appeal to fans of Captain Underpants or the books by James Marshall. 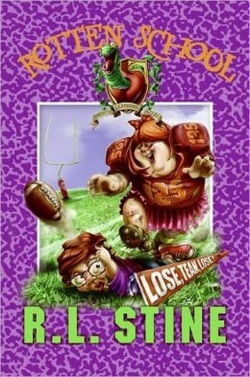 The fourth grade football team at Rotten School known as the “Rotten Apples,” has never won a football game. At least not until Jennifer Ecch joins the team, wanting to be close to her boyfriend Bernie Bridges. He refers to her as the Nightmare Girl, but if she can get the team to win with her large size and blocking abilities, that’s just fine with him. In fact, if she can lead the team to the National Championship he will even wear the 10 sweaters she plans to knit for him that read, “Bernie loves Jen” and he’ll get a date with the beautiful cheerleader April-May June. Unfortunately after winning every game Bernie realizes that the last game must be played against the roughest team, the “Bone Breakers” and he sets out to find a way to sabotage their winnings. Illustrated in black and white line drawings with washes of gray and includes a map of the Rotten School campus. The book is chock full of stereotypical characters – the cheerleader, the rich kid, the athlete, the geek – which fit perfectly with the style of the book. Humor abounds with names like R.U. Dumm Football Field and Headmaster Upchuck, illustrations of the Hammerhead Sharks showing their helmets in the shape of hammerhead sharks, and puns throughout. What boy is not going to love this?